Based on its role in preparing the general policy of defending the homeland, Ministry of Defense is performing a strategic and pivotal task in the national security system in the UAE. Ministry of Defense is establishing policies, developing strategies and building national talents capable of consolidating our self-defense capabilities. The Ministry also plays an important role in consolidating our national unity and identity and building a more cohesive society. Today, with pride, our UAE model is making progress in all the comprehensive development indicators. Our armed forces is at the highest degree of readiness and efficiency, where our sons, from high ranks to most recent graduates of a military school or college, from its backbone, manage the most sophisticated weapons and electronic systems, and carry out their tasks in protecting our country and battlefields with courage and professionalism. Building of our own power was the obsession of the founding generation and its biggest concern, under the leadership of late Sheikh Zayed “may Allah bless his soul”, and as a result came the union, the unification and development of the armed forces, and the comprehensive and balanced development. With passing the flag to the empowerment generation under the leadership of my brother His Highness Sheikh Khalifa bin Zayed Al Nahyan, President of the UAE, and the efforts of my brother His Highness Sheikh Mohammed bin Zayed Al Nahyan, Crown Prince of Abu Dhabi and Deputy Supreme Commander of the UAE Armed Forces, consolidation of our own strength has become the center of our vision, strategy, plans, projects and initiatives. Therefore, we have invested heavily in our human resources and we realized the requirement of information and communication revolution. We have also developed our infrastructure, and met the requirement of knowledge economy. We also were keen to develop government performance and sought to diversify the national economy in the fields of military industries, sensitive industries, clean energy, and space and nuclear science. After very challenging years, we, the Emiratis, in our performance of our duties and responsibilities we were able to achieve success in promoting development and prosperity, consolidating security and stability, and moving forward in developing our own power resources. It is certain that our national security is inseparable from the security of our region and our world. Therefore, we carried out our responsibilities at the regional and the global level and help brothers and friends. The UAE, thanks to Allah and to its wise leadership, will remain an oasis of security and safety, extending its white hands to peace and spreading values ​​of tolerance and respect to all humanity. People have always protected themselves against the dangers that threaten them. History has shown over the time that nations who have survived and continued to exist are those who have built the factors of force to defend themselves. Thus, the vision of the Ministry of Defense in the United Arab Emirates is based on being "a proactive institution that ensures the UAE's national defence, sovereignty and victory against evolving threats to the nation”. 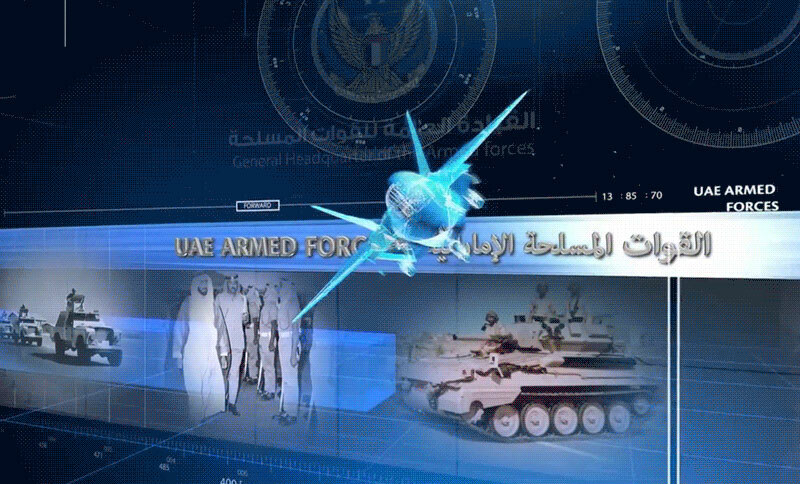 The ministry’s mission is "to ensure the UAE’s national defense and advance its interests by understanding the strategic operating environment, designing future-oriented defense strategy and policy, and ensuring strategically prioritized development and utilization of national capabilities; all in collaboration with other national entities and our international allies." In this context, as part of the national system, the Ministry is keen to keep abreast of the modern industrial and digital revolution in the world, in accordance with the vision of the good leadership. It works to support the great development process witnessed by the country in various fields in order to achieve its goal of becoming one of the pioneer countries in the fields of advanced industries, information and communication technology, artificial intelligence, and modern technologies. The ministry also seeks to participate in the federal system and support its efforts to improve the government performance in building the future government in order to achieve the centennial vision of the UAE 2071, by ensuring a happier future and a better life for future generations. On the other hand, the ministry is working on enhancing the values ​​of belonging, allegiance and national cohesion, and strengthening the meanings of honor and sacrifice in order to safeguard the right and defend the homeland of its citizens. Our survival lies in our strength and the coherence of our efforts, because the United Arab Emirates is "entrusted in us". The Ministry of Defense carries this trust with strong determination, raising in one hand the banner of defending the homeland with confidence and power, and in the other hand the branch of peace to ensure security and stability in the region and the world. Amid the rapid "digitization" shifts, which are sweeping minds and mindsets, and the transformation of concepts and mechanisms of economy, industry, as well as military and civilian sciences, and defense strategies and their constants, and in line with our country’s remarkable qualitative leap forward in order to achieve the first competitive ranks in the world in various fields of development, especially in the telecommunications sector, the electronic portal becomes a communicative imperative to define the message, vision and strategic goals of the Ministry of Defense. This in essence translates and reflects the message, humanitarian principles, and ethical values ​​of the UAE. 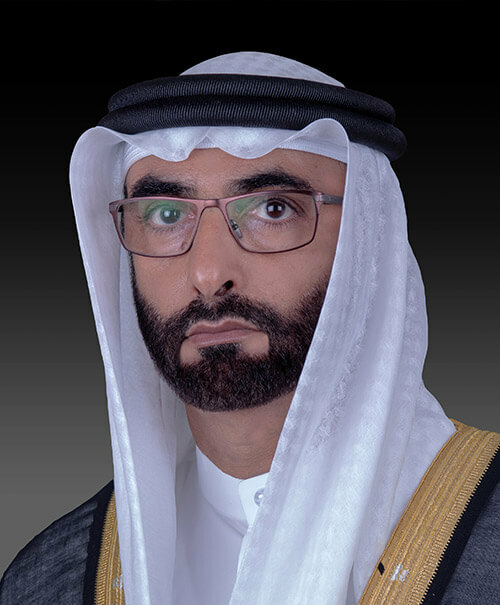 We are doing so by following a genuine approach planted by his Highness late Sheikh Zayed bin Sultan Al Nahyan, may Allah rest his soul, and that is getting special attention by His Highness Sheikh Khalifa Bin Zayed Al Nahyan, President of the UAE and high Commander of the Armed Forces, may Allah protect him. 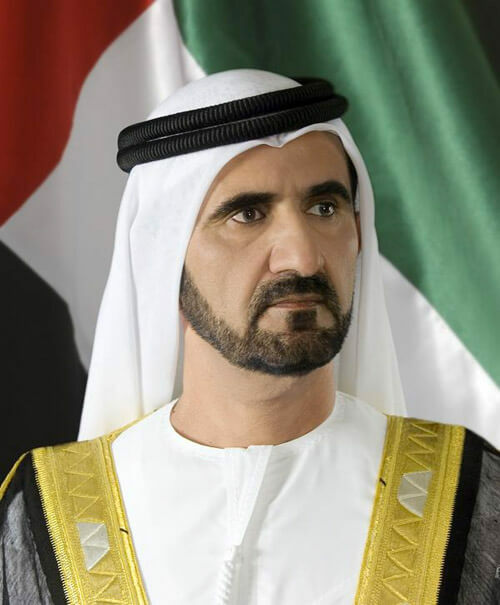 His Highness Sheikh Mohammed bin Rashid Al Maktoum, Vice President and Prime Minister of the UAE, Ruler of Dubai, also adheres to the same approach that is also receiving the care and monitoring of His Highness Sheikh Mohammed bin Zayed Al Nahyan, Crown Prince of Abu Dhabi and Deputy Supreme Commander of the UAE Armed Forces. As our armed forces play vital and very influential field roles in achieving regional and international security and peace, countering terrorism and maintaining stability, the Ministry of Defense's online portal plays a vital role in media and information ,as well as conveyance of news and information to the public at home and abroad. The Ministry of Defense in the United Arab Emirates is working within a broader national defense framework, based on an integrated national strategy for defense starting from a modern and sophisticated understanding of both strategic and immediate challenges and threats. By understanding the strategic environment, future-oriented defense policies and strategies are developed, and strategic priorities for the development and use of national capacities are set in collaboration with other national institutions. The Ministry's vision is to be a proactive institution at a level that ensures defending the security and sovereignty of the United Arab Emirates and the victory against the changing threats facing the country. The Ministry of Defense is also working in the framework of advanced institutional structures that enable it to perform its functions in cooperation and integration with the General Command of the Armed Forces in defending the UAE, protecting its gains and ensuring its security and stability. This is added to the vital role of the Ministry in formulating policies and developing defense strategies as well as understanding the strategic environment regionally and internationally. 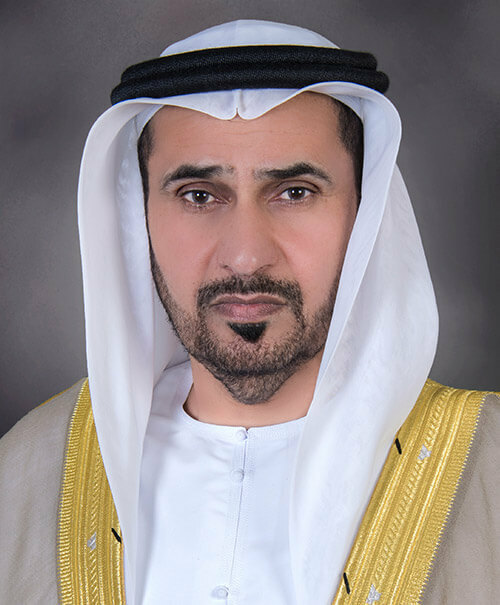 In order to achieve the message of the ministry, its vision and objectives, we are keen to reflect the highest standards of corporate performance to ensure innovation and quality, and to achieve the proactive vision of the ministry in looking to the future depending on the minds of the Emirati people and their ideas and skills. By doing this, we are confident that the dream will be completed by the one hundredth anniversary of our country in 2071 when our country will tower up high as the best country in the world. The UAE has had to protect its wealth of valuable natural resources from the very first moment of its creation in 1971. The protection of the nascent nation from the dangers it faces is of the strategic vision and skill of the late Sheikh Zayed Bin Sultan Al Nahyan that enabled him to thwart the maneuvers of his potential enemies. Sheikh Zayed knew that the challenges facing the defense of Abu Dhabi and then the UAE were complex. In the face of these challenges, Sheikh Zayed adopted a three-pronged political vision. First, national security depends on a unified state,where Sheikh Zayed learned From the experience of history that the fortified castles that fell as a result of penetration from the inside exceeds in the number those seized by force incursion from the outside. Therefore, it was intrinsically at the internal level to consolidate the support of the people to the new state and that Sheikh Zayed ensures the commitment of his brothers' rulers in the unity of the word. The second axis is the pursuit of Sheikh Zayed to make it clear that any attempt to attack the United Arab Emirates and its resources will cost the aggressor heavy losses. This requires that the nascent State have national armed forces of high efficiency, equipped with the latest weapons and equipment. The third axis was the desire of Sheikh Zayed to consolidate the status of the state and enhance its credibility in the international arena. So that the UAE occupies the position that deserves in the international community and to be considered by the rest of the world as a force for good and a guarantee of justice and right and thus ensure protection and support through International law and the United Nations system. Source: "The Power of the Union: His Highness Sheikh Zayed Bin Sultan Al Nahyan ...The Leader and the State", Emirates Center for Strategic Studies and Research, 2005. The high competency and readiness of our armed forces is the product of a comprehensive national strategic vision that enabled our nation, with the help of Allah, to build a deterrent force with trained young men equipped with the latest munitions, systems and technologies. 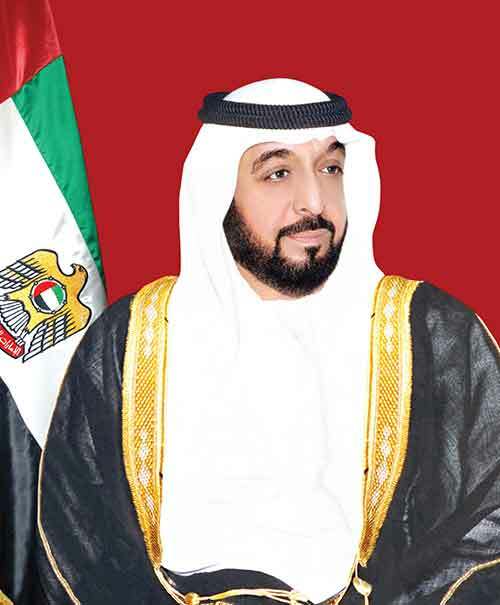 I and my brothers and sisters, members of the Supreme Council, Rulers of the Emirates, continue to develop the capabilities of our armed forces in terms of weapons , training and equipment in order to enable them to carry out their national defense duties and their international humanitarian missions, which contribute to the maintenance of international peace and security. We are proud of the achievements of our armed forces and their success in carrying out the tasks entrusted to them. They have contributed to enhancing the security and stability of our state, our people and our brothers in the Gulf Cooperation Council States and in helping the oppressed and supporting the needy. Our armed forces will always remain a symbol of national unity, supporting our brothers and friends. Loyalty of our armed forces will always be an honor, duty, and right to all citizens. 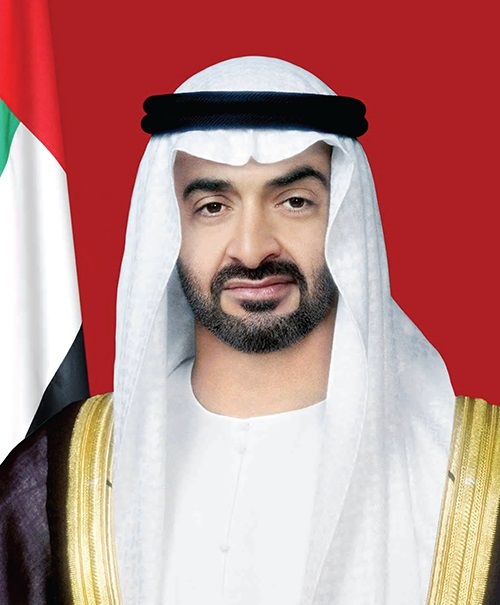 The UAE, under the leadership of His Highness Sheikh Khalifa bin Zayed Al Nahyan, President of the UAE, May God protect him, strongly believes that dealing with the challenges of our time and the total changes and variables taking place in the region requires the existence of specialized security and military institutions that work in harmony and integrity. Institutions that are capable of assessing the nature of developments and threats, and provide strategic insights and assessments that anticipate and respond to various risks. 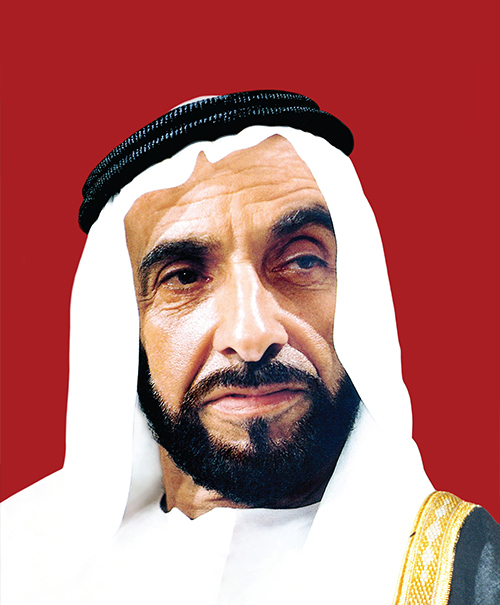 The Ministry of Defense and other military and security institutions have received the attention of the founder, late Sheikh Zayed bin Sultan Al Nahyan, may God rest his soul, who realized the important role played by these institutions in protecting and preserving the security of the homeland and safeguarding its gains. This approach continued through the follow up and support from His Highness Sheikh Khalifa Bin Zayed Al Nahyan, President of the UAE, and His Highness Sheikh Mohammed bin Rashid Al Maktoum, Vice President and Prime Minister of the UAE and Ruler of Dubai. In turn, Sheikh Mohammed strengthened the progress and roles of these institutions in carrying out their work and functions, so their performance would reach the highest international standards management and organization. We call upon you to exert more efforts in qualifying the national human resources, and preparing and developing national leaderships as the cornerstone for achieving comprehensive development and meeting the challenges and changes and regional and international developments with efficiency and competence. Since the unification decision, the Ministry of Defense has achieved many successes and pioneer steps in many forums. The Ministry of Defense is looking forward to opening new horizons for its strategic vision and its public policy in an efficient way through which it can keep pace with the global boom witnessed by the whole world. Minister of State for Defence Affairs receives Pakistani.. The achievements and imprints of the late Sheikh Zayed Bin Sultan Al Nahyan, may God have mercy on his soul, in giving, goodness and unlimited humanitarianism over the years cannot be expressed I words. His immortal deeds and memory live in the heart of every Emirati and cannot be told in brief. "The Year of Zayed " initiative is a kind gesture to the person who embodied the meanings of generosity, giving and appreciation to a man who made his country a unique model of success and ambition and hard work to achieve the best and strengthen the UAE's leading position globally. On March 5, 1989, the Land Forces Command was established and located in Zayed Military City in Abu Dhabi. It includes mechanized infantry brigades, armored vehicles, artillery, field engineering, signal and technical and administrative support units. The land force is considered one of the oldest formations in the armed forces. In April 1967, late Sheikh Zayed Bin Sultan Al Nahyan, May God bless his soul, ordered the establishment of the sea wing of the Abu Dhabi Defense Force, with command position at the current location of the Abu Dhabi Navy . The sea wing began working with small patrol boats donated by Sheikh Zayed bin Sultan. The boats were called (Shuja, Agab and Shaheen). Later, 40-foot patrol boats and 56-foot patrol boats, followed by 110-foot armed boats joined the force. The Air Force was established on May 13, 1968 as Air Wing of the Abu Dhabi Defense Force, with headquarters located at Al Bateen Airport in Abu Dhabi. The force included the Hawker Hunter Squadron, Caribou, Islander Cargo aircraft squadron, and Helicopter Bell 205. In January 1974, the Air Defense Command was formed and armed with Anti- aircraft gun 20 mm, and Rapier missile battery. The United Arab Emirates takes pride in its glorified martyrs who have sacrificed their lives in the battlefields so the nation flag remains high. "The defense of the Union is a sacred duty that every citizen should undertake and the performance of military service is an honor for all citizens"